Bruce Cheever has an innate ability to choose the perfect landscape to paint. 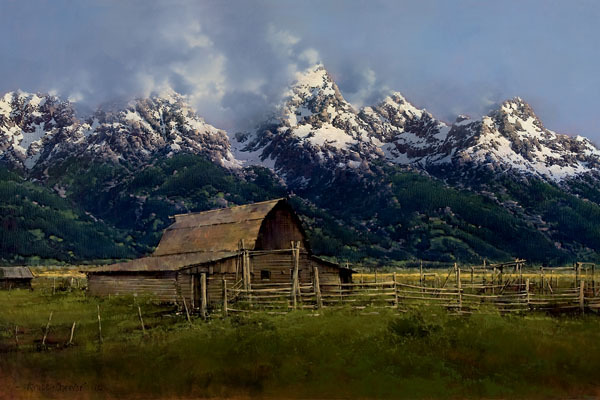 In his search for beauty, the artist visited Wyoming and found "Moulton Barn, Jackson Hole Valley." The well-worn barn, a relic of the past, was once part of the Moulton family homestead, which is now within the Grand Teton National Park. Cheever brings to us a magnificent scene that tells only part of the history of Wyoming and the Old West.